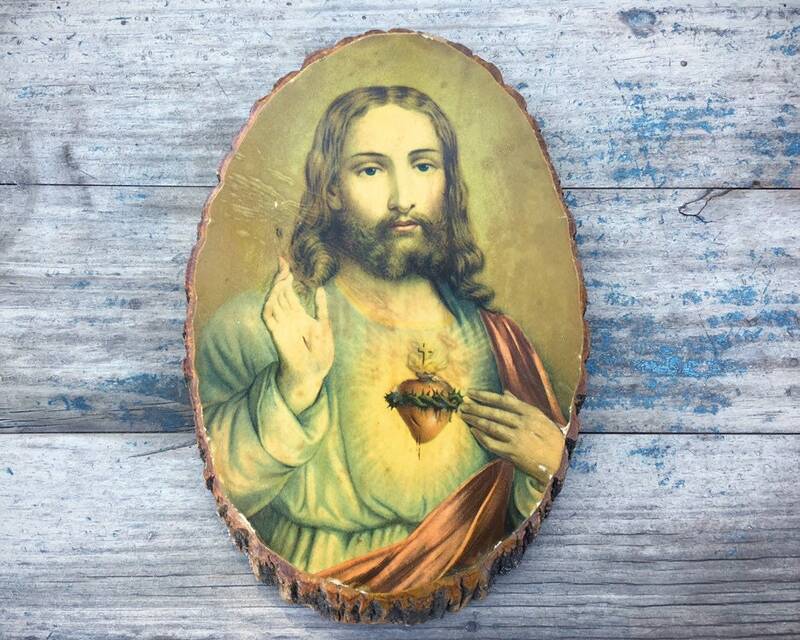 This Jesus Christ Sacred Heart print has been decoupaged onto a wood slice, the bard still intact and the front border sanded down. 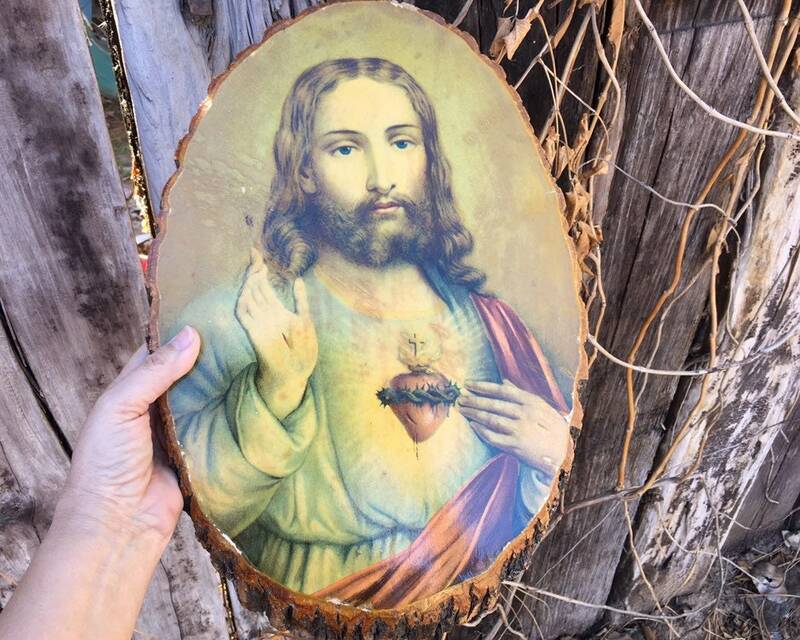 It's a great print, Jesus' face benevolent and loving. Like glaze, the glossy lacquer finish can and will craze or crack, just as this one has done. 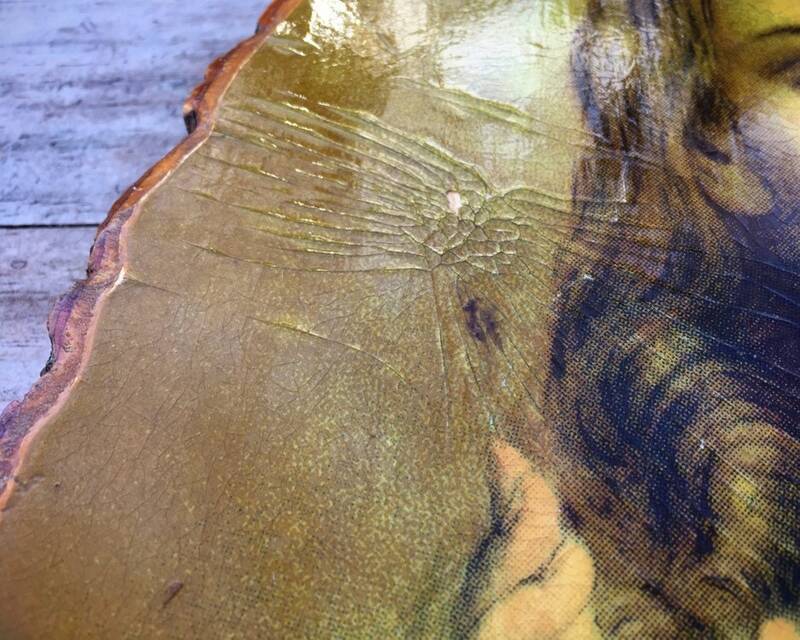 What's kind of cool is that the lines from the cracking/crazing cut diagonally across the piece almost like a ray of light. The piece has also yellowed from age. 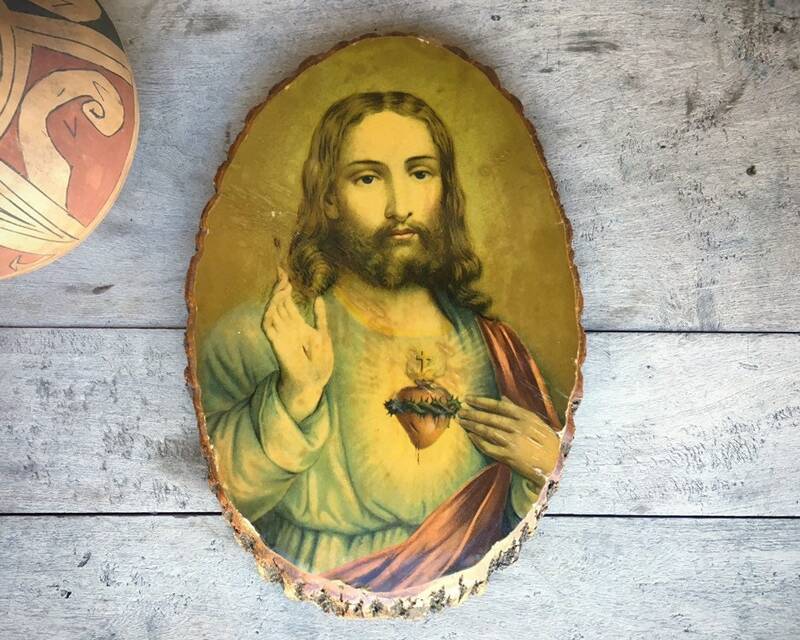 Still, it is lovely and kitschy, and if you remember these plaques from your childhood visit's to Grandma's house or that neighbor who lived in the trailer and pierced your ears with nothing but an ice cube to numb the paint (oops, that was me, not you), then you're going to love this 1960s wall art Jesus. 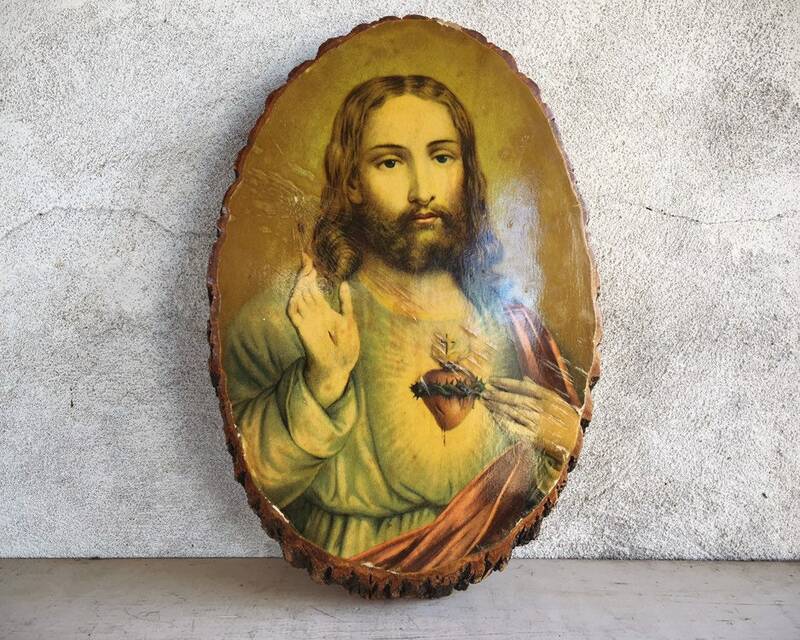 As will anyone who loves the symbolism of Sacred Heart, the religious icon I most cherish, which signifies passion and compassion, unconditional love. 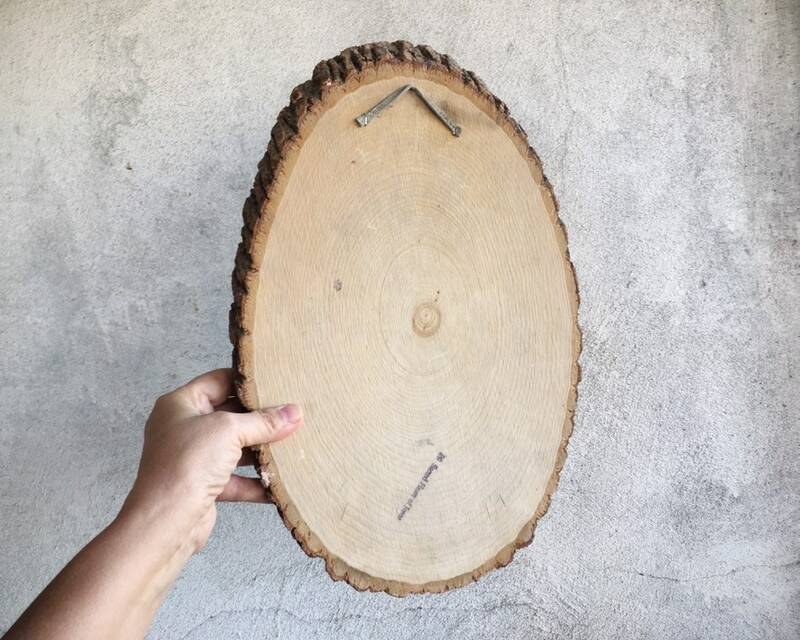 The plaque measures 15-1/2" tall by 10-1/4" wide and just over 1" thick. A leather hanger stapled into the back for hanging. 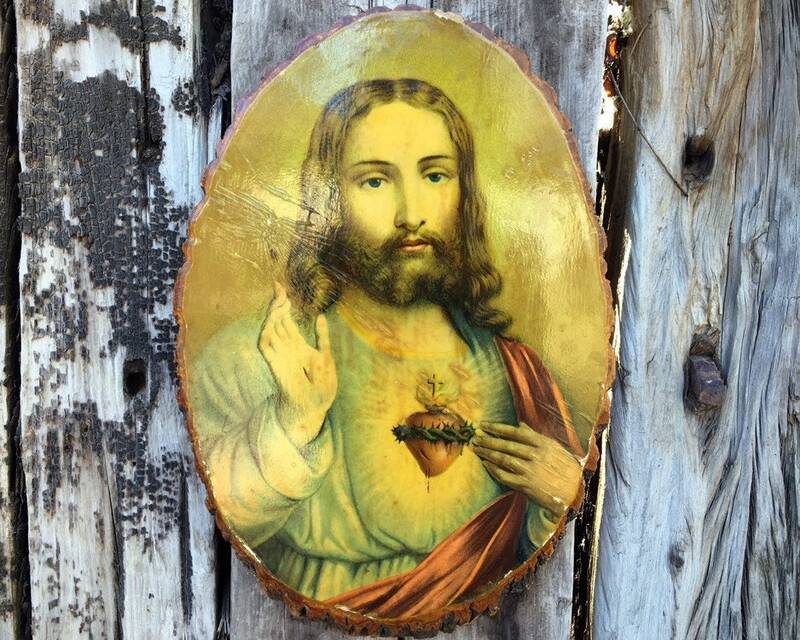 The heart of God in each of us, for all of humanity.